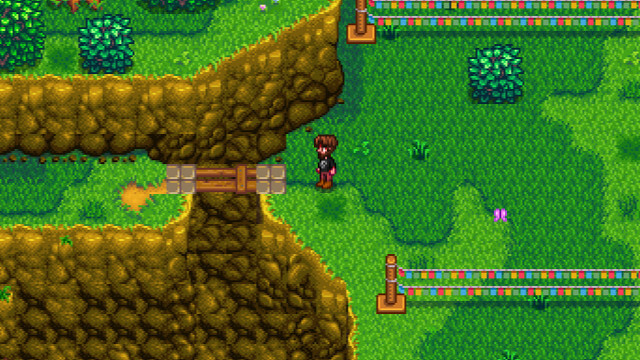 Retrovolve – Stardew Valley: Where Is the Spring Flower Dance? 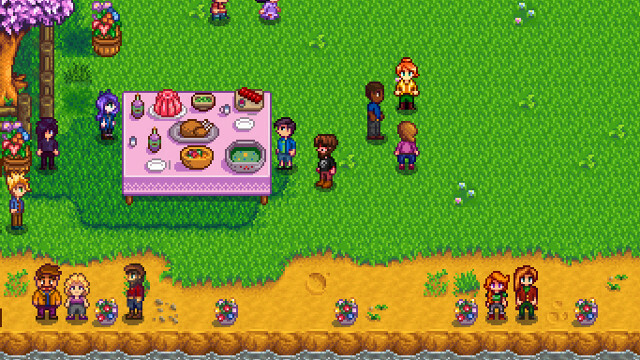 In Stardew Valley, your character will be treated to various festivals throughout the year. One of the first is the Flower Festival, which includes the Flower Dance, though it can be a little tricky to find in your first year. If you follow its instructions, it can be a little confusing. You’ll want to enter Pelican Town, go to the south edge of the town, then head due west. Of course, there’s an easier way to get there: Just head straight south from your home. You’ll end up finding a bridge to an area that’s otherwise inaccessible at this point in the game. Cross it and follow the path and you’ll be enjoying the festivities with the rest of them. 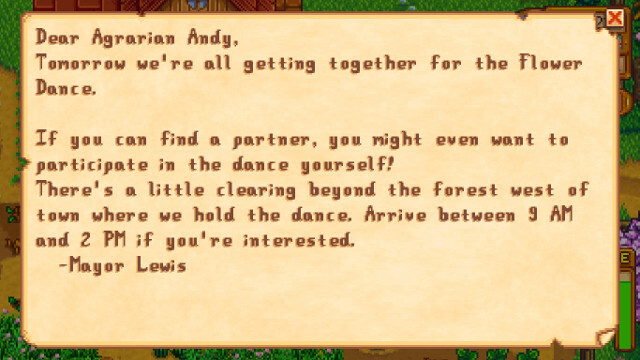 All that’s left now is buying expensive flowers and picking your dance partner. For a full list of holidays, birthdays, and other events, see our Stardew Valley Calendar of Important Dates.